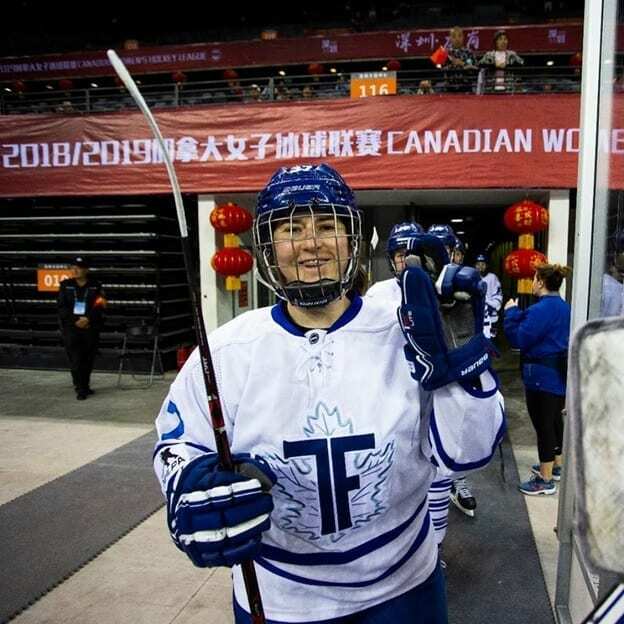 As the 2018-19 season represented an exciting new chapter for the Toronto Furies, highlighted by the anticipated arrival of star players such as Shea Tiley and Sarah Nurse, restoring optimism in the championship conversation, a pair of players from rival clubs also enjoyed their first season in the blue and white jersey. In addition to American-born skater Jordyn Lee Hampton departing the Blades, Anissa Gamble also made the trek to the CWHL’s biggest market. Emerging into a solid contributor for the franchise, Gamble relished the prospect of engaging in a full-time opportunity. 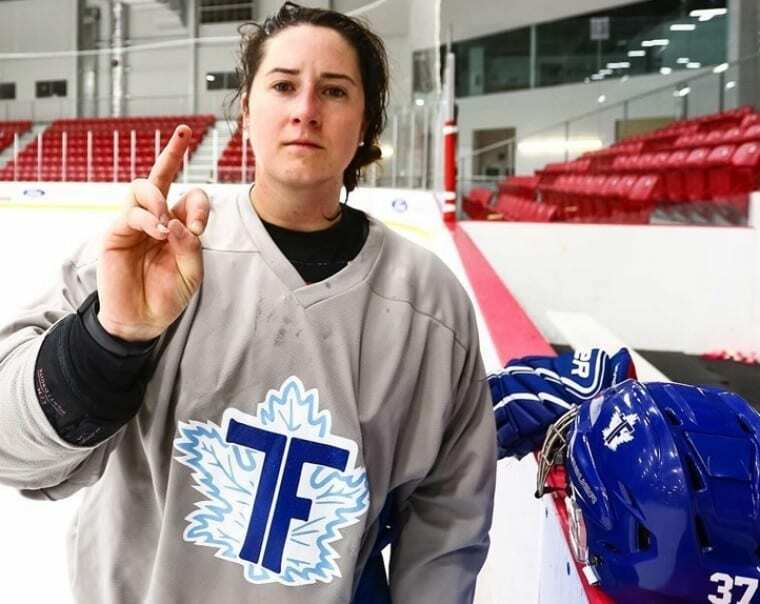 With her playing rights held by the Calgary Inferno the season prior, originally selected by the club with the 57th overall pick in the 2017 CWHL Draft, the transition to the Furies this season allowed the privilege of returning to the frozen perimeter as a professional. As a side note, prior to relocating to the Greater Toronto Area, Gamble also competed on the slab with the Edmonton Red Light at the 2018 edition of the Canadian Ball Hockey Association Nationals, calling Tara Swanson and Kristen Sugiyama, also players for Canada’s national ball hockey squad, teammates. Balancing a day-time occupation with the rigours of professional hockey, navigating through the demanding commutes of rush hour, the daily ritual was concluded by a combination of conditioning and practice for the weekend’s upcoming matches, whether home or away. Despite the result of long, strenuous days, coming to its quotidian conclusion past dusk, it was only outmatched by Gamble’s incredible sense of commitment, emblematic of the sometimes difficult, but highly commendable existence for the women of hockey. “It was great! I did not get to play for the Inferno as I was living in Edmonton for my studies and only went to Calgary occasionally. This year, I played for the Furies full time and re-adjusting for the time commitment was the biggest hurdle – especially when I started working full time and had to commute into the city. Among the highlights of this recent season was the opportunity to gain an empathic understanding of Gamble as both, an admirably spirited person and role model—making a very brave revelation about her reality of living with Type 1 Diabetes. Other athletes in hockey that have endured the disease include Nick Boynton, Bobby Clarke, Cory Conacher, B. J. Crombeen, Max Domi, Toby Petersen, Luke Kunin, and 2019 NHL Entry Draft prospect Kaapo Kakko. As a side note, Sara Groenewegen, a softball pitcher who has competed on Canada’s national softball team, and professionally with the Akron Racers, is another accomplished female athlete who has excelled despite being afflicted with Type 1 Diabetes. Diagnosed with the disease at the tender age of eight years young, there was definitely a sullen tinge to it, as the revelation took place when Gamble was discharged from the hospital on Christmas Eve. Undeniably, the heartfelt post that she shared on social media instantly transformed her into one of the league’s most admired players. 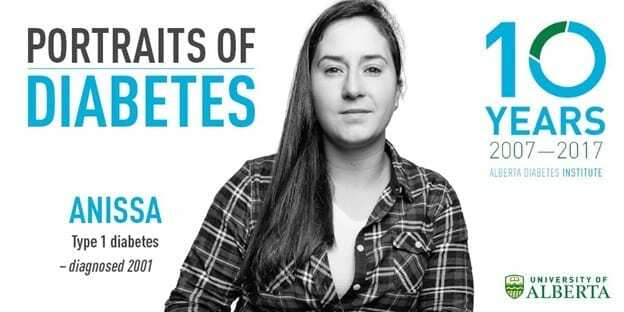 Posting her text on national diabetes awareness day, it was a heartfelt message that allowed others an important understanding of the difficulties that encompass living with Type 1 Diabetes. Understandably, when one’s health is hampered by coping with a serious ailment, it can occupy one’s thoughts frequently. From the outset, the daily routine of an individual struggling with Type 1 Diabetes involves the administering of 4-8 needles on a daily basis. On average, individuals suffering from the disease live an average of 10 years less, compounded by the ominous possibilities of complications from blindness and/or kidney failure. Perhaps more frightening is the thought that if blood glucose rises too high, or dips below normal levels, death can result in less than 24 hours. More eye opening is the troublesomeness of the financial burden that accompanies the demands of treatment. A vial of insulin, which is approximately sufficient for a supply of nine days has risen dramatically in cost, from $40.00 to a princely sum of $320.00. Taking into account that other supplies in the treatment for diabetics, such as a pump and CGM are even more costly, patients living in poverty can only view such supplies as a luxury, furthering the argument that health care should be a universal right. Under such circumstances, the constant worry, anxiety and ruminating takes on the aura of a black cloud, as mental health and self-esteem can certainly be affected. The numbers are even more daunting from a personal standpoint. Expenses for diabetes treatment results in Gamble spending approximately $60 a day on average for treatment. As Gamble also revealed in her heartfelt post, she has tallied the use of over 12,000 needles, pricking my finger over 37,000 times, compounded by the loss of over 4,000 hours of sleep. Despite such obstacles, Gamble has managed to assemble a formidable journey on and off the ice. Considering that Gamble, who was raised in Fredericton, New Brunswick, skating for Team Atlantic at the 2009 Canadian Under-18 Women’s Nationals, departed her Atlantic home as a teen to compete at Appleby College in Oakville, Ontario, also excelling in field hockey and soccer, followed by NCAA play at Robert Morris University in Pennsylvania, the ability to juggle academics, training, competitive play along with nutrition weaves an empowering tapestry of a strong woman whose career was built on perseverance. During her time garbed in the jersey of the Robert Morris Colonials, where she recorded 118 appearances, her studies were certainly geared towards health, with aspirations to improve the quality of life for people in her plight. Majoring in Biology, with a minor in chemistry, Gamble’s concentration was on pre-med. Following it up with a Masters in Science (MSc) in Experimental Surgery at the University of Alberta, one of the world’s premier research facilities for diabetes, it also led a life-changing event. While at the University, Gamble observed an islet transplantation, which became a key focus in her graduate work. Of note, such a procedure could have many positive life-changing effects for patients with diabetes, with the benefits resulting in living without the chronic strain of insulin injections for a significant period. “As a person living with type 1 diabetes, a researcher, and advocate, I kind of think about diabetes 24/7. I am often explaining the daily regimen or physiology of the disease that is so mal-educated for patients and citizens. The experience has brought forth a genuine authenticity, demonstrating how Gamble deals with Type 1 Diabetes by employing a combination of dignity and resolve. Such resolve was also evident during a defining moment for Gamble. In August 2017, she took a brief sabbatical to join the Connected in Motion Adventure Team. Engaging in a 58 km backpacking journey along the North Coast Trail, partaking with 12 others coping with Type 1 Diabetes, enduring damp and muddy circumstances on a daily basis, it was an experience that redefined the essence of teamwork. 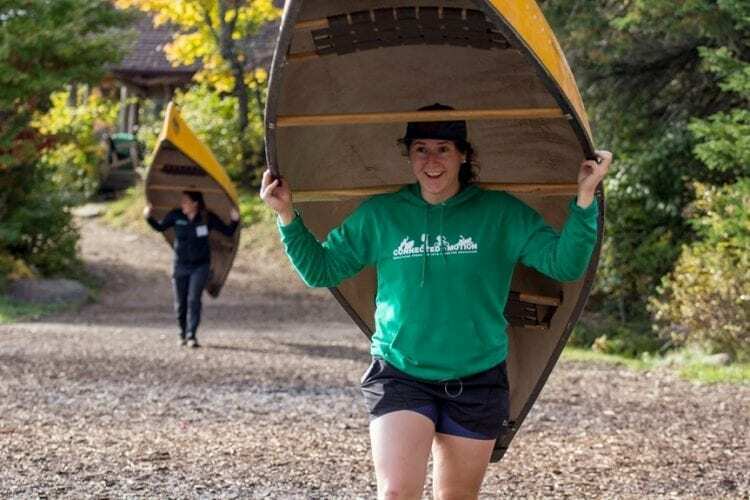 Combining collaboration and camaraderie, as health, adventure and sustenance were the key focus, with the wilderness serving as an inimitable backdrop, this peerless performance of diabetes management resulted in raising $25,000, simultaneously forging bonds between a group of valiant individuals. “I was humbled with the responses I received. We had hockey practice that night and a few of the girls came up to me and said they never knew that about diabetes and wanted to learn more. I was really happy with the attention it garnered. In addition to returning to competitive hockey, with future ambitions for continued studies either in medical or dental school, Gamble has also added entrepreneur to her resume, forming her own company: Thumbs Up Diabetes. Geared towards improving the quality of life for those afflicted by the diseases, primarily through better management, including an emphasis on physical activity and nutrition, Gamble also offers holistic diabetes coaching. Considering that Gamble has also volunteered at the Alberta Diabetes Institute, it has not only enriched her qualifications and skill level, but the research and studies also tapped into her athletic background. Exploring how exercise can provide potentially positive benefits by impacting blood-sugar levels, deciphering the details has resulted in an inquiring body of work that was an inspired labor of love. 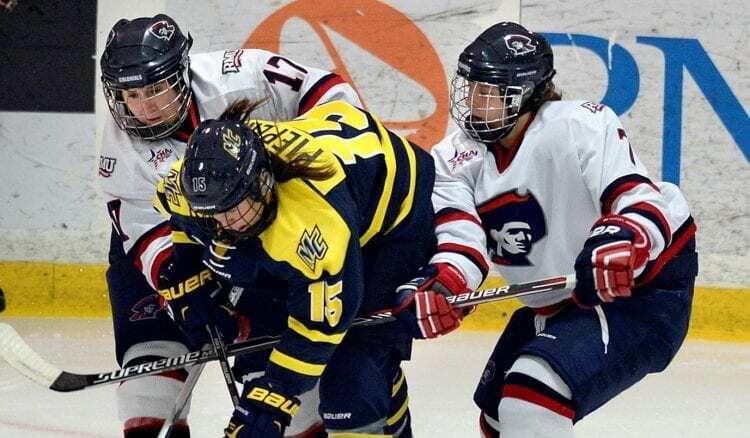 Just as enjoyable was Gamble’s first season in Furies blue, which allowed her the opportunity to call Brittany Howard, also a Colonials alumna, a teammate once again. Suiting up for 19 regular season games, she also enjoyed a pair of playoff appearances against the eventual Clarkson Cup champion Calgary Inferno. Recording only two penalty minutes in regular season play, it demonstrated an incredibly disciplined play, setting a positive example for her fellow first year players. Debuting on home ice on October 13, 2018, part of a three game home stand versus the new-look Shenzhen KRS Rays, an amalgamation of the two Chinese expansion teams from 2017-18, the Kunlun Red Star and Vanke Rays, Gamble would record her first professional point on November 24, 2018. Marking the first game of the season versus their eternal rivals, the Markham Thunder, this latest chapter in the epic Battle of the Toronto, the Thunder took a 2-0 advantage. Capitalizing on a power play opportunity, Gamble and Sarah Nurse collaborated for the assists on a goal by fan favorite Natalie Spooner, her fifth of the campaign. Gamble’s first appearance in the New Year provided another enjoyable highlight. Coincidentally, it would involve the KRS Rays once again. Taking to the ice in Shenzhen, China, on January 29, 2019, it allowed her the treasured experience of competing abroad. Along with Mellissa Channell, they were credited with the assists on the game’s first goal, as Sarah Nurse slipped the puck past Noora Raty, both competitors from the 2018 Winter Games. Surely, the opportunity to play in China provided a validating affirmation of her standing as more than an admirably talented and tenacious competitor, but it underlined a dual standing as a world-class person. Primed with compassion to improve the quality of life for others struggling with diabetes, focused on eradicating the destructive elements to one’s self-confidence, the feeling of family and community that defined her inaugural season with the Furies, enhancing her strong values, are poised to make her an impact player long after this exciting chapter reaches its climax. “I had a lot of great moments! Honestly, it was one of the most enjoyable seasons I have had in a long time- and I was injured for the majority of it! I do not know if I can pin point a single moment- I have had an accumulation of events like being back with (Brittany) Howard, starting my first game with Spooner and Nurse- also scored my first CWHL goal, China McDonald’s runs, pre-practice dating advice- there are a lot of small enjoyable moments.